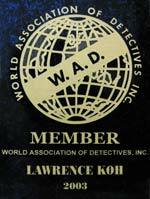 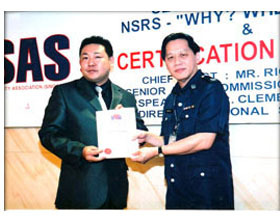 Private Investigator/s is required to go for an assessment under Singapore Workforce Skill Qualifications (WSQ) to perform investigation activities in compliance with legal requirement. 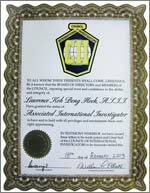 Only competent of this assessment are qualified to work as Private Investigator/s. 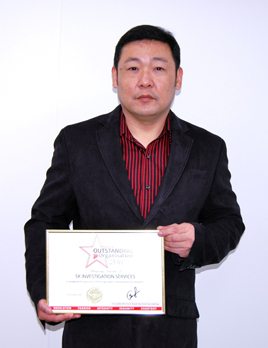 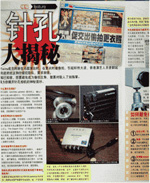 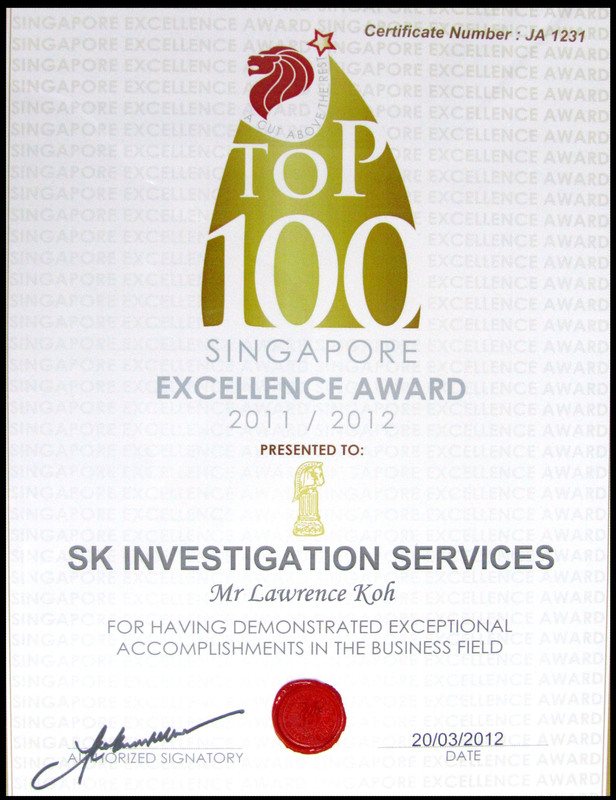 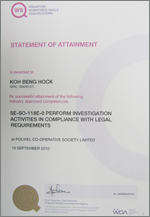 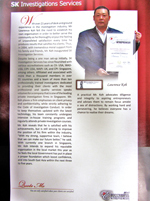 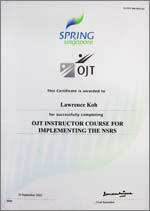 SK Investigation Services has been awarded the Outstanding Organisation 2011 award. 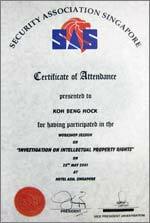 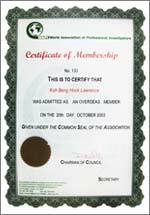 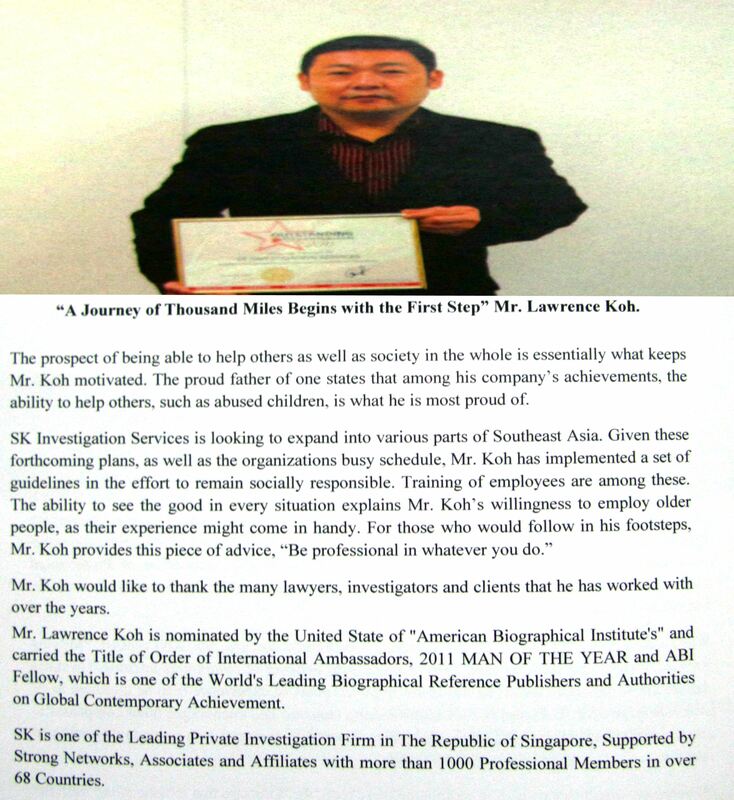 Whereby from 300, only a selected 200 organisations in South East Asia are selected to receive this award. 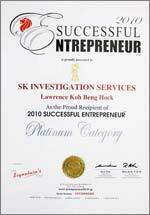 We are also proud to received the 2010 Successful Entrepreneur Top 100 Platinum Category recipient in Singapore and Top 100 Singapore Excellent Award 2012. 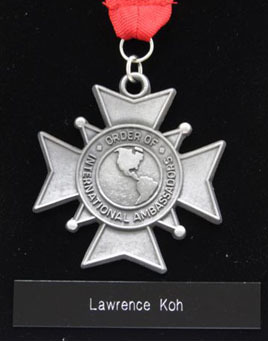 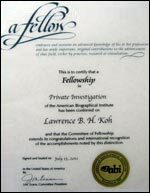 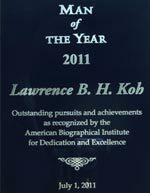 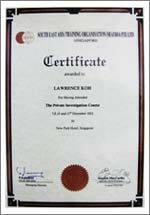 Mr. Lawrence Koh is nominated by the United State of “American Biographical Institute’s” and carried the title of Order of International Ambassadors, 2011 MAN OF THE YEAR and ABI Fellow, which is one of the World’s Leading Biographical Reference Publishers and Authorities on Global Contemporary Achievement.